College has become one of the most significant investments a family can make. And once there, the biggest shock you’ll experience in college is the fact that you are truly on your own. And it can be pretty daunting. So now you find yourself in a course with other students. Maybe you’re struggling, maybe not. But one thing is sure. You are on your own. And it’s up to you to determine whether or not you succeed in this class. So what do you do? Well you could curl up in a ball in your dorm and play video games until Thanksgiving, or you can take action. Strategic Learning: A Guide to Understanding Your Learning Self, is a soft cover, user-friendly guide to preparing for college success. First you identify how you learn and then apply the knowledge of your personal Learning Processes to your studies. This text is filled with a variety of practical learning tools including how to compose a Personal Learning Profile, how to analyze assignments, and how to use your learning processes strategically to complete assignments that meet the demands of your courses. 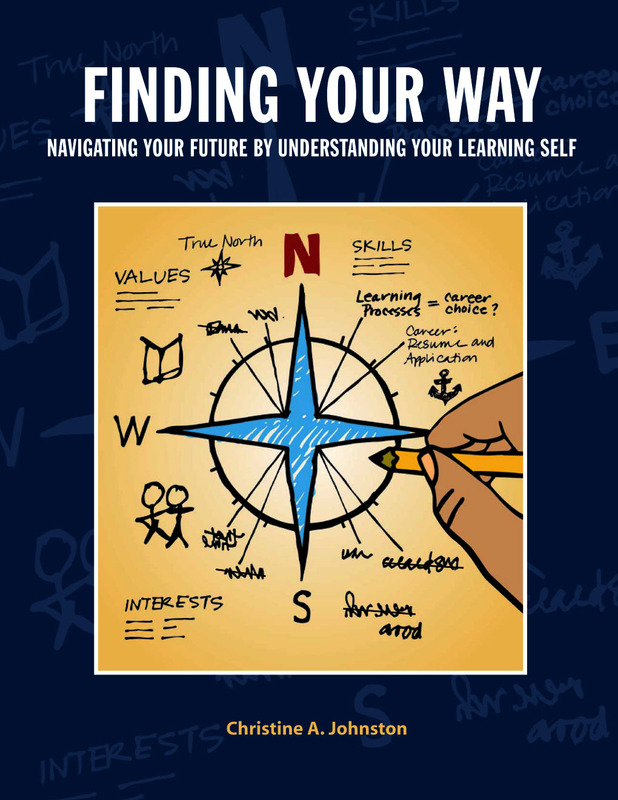 Finding Your Way: Navigating Your Future is an excellent resource for when you are a junior and senior. Just as courses are getting harder and more specialized, you need something to help you with your writing and thinking skills. Finding Your Way addresses critical reading, critical writing, and the development of a career—by helping you chart college courses toward a career pathway. Our Personal Learning Coach can also help you succeed at this level. The Personal Learning Coach is a web-based app that helps you develop your own personal learning strategies to tackle those tough assignments or projects. You can use it on your smart phone, tablet, laptop, or computer. No matter where you use it, you have the power of personalized learning right at your fingertips.